Facades as urban funscapes? Yes, please. 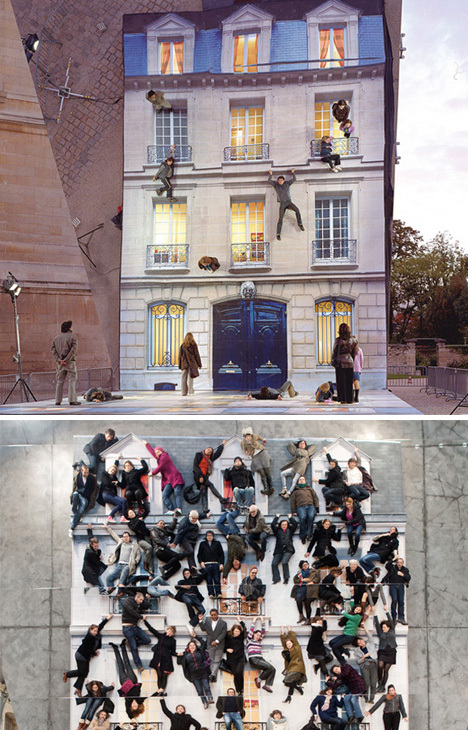 One of the many optical illusion projects by Argentinian artist Leandro Erlich is called bâtiment. 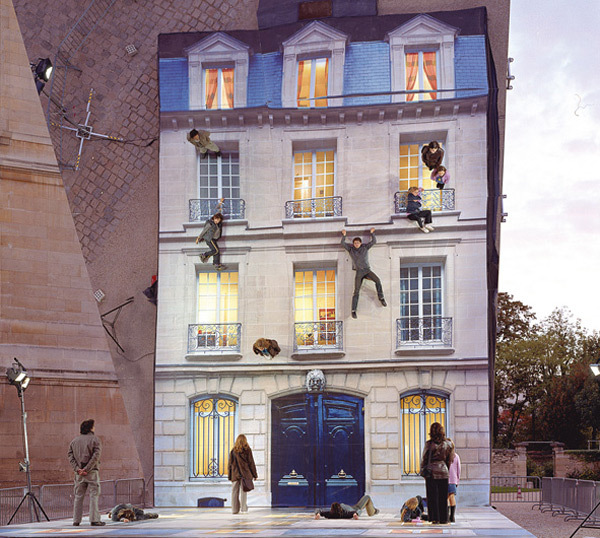 A large-scale installation consisting of a building facade constructed on the sidewalk and a multi-story mirror towering next to it. The mirrored facade throws us off at first because it appears weightless and people are hanging off its elevation, but soon enough we'd want to do the same. 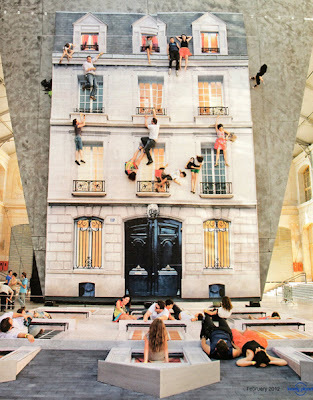 Our perception of building facades, as a visually accessible public urban element and not a physical public space, is somewhat challenged by this project. Wouldn't it be awesome to start thinking of such mundane elements as playful urban territory? Perceptimi jonë i fasadave të pallateve si një element urban, publik vetëm në qasjen vizuale dhe jo si hapësirë konkrete, sfidohet disi nga ky projekt. Nuk do të ishte mirë ti mendonim elementet e tilla mondane si territore urbane plot gjallëri dhe zbavitje?